For even the greatest of empires, geography is often destiny. You wouldn't know it in Washington, though. America's political, national security, and foreign policy elites continue to ignore the basics of geopolitics that have shaped the fate of world empires for the past 500 years. Consequently, they have missed the significance of the rapid global changes in Eurasia that are in the process of undermining the grand strategy for world dominion that Washington has pursued these past seven decades. A glance at what passes for insider "wisdom" in Washington these days reveals a worldview of stunning insularity. Take Harvard political scientist Joseph Nye, Jr., known for his concept of "soft power," as an example. Offering a simple list of ways in which he believes U.S. military, economic, and cultural power remains singular and superior, he recently argued that there was no force, internal or global, capable of eclipsing America's future as the world's premier power. For those pointing to Beijing's surging economy and proclaiming this "the Chinese century," Nye offered up a roster of negatives: China's per capita income "will take decades to catch up (if ever)" with America's; it has myopically "focused its policies primarily on its region"; and it has "not developed any significant capabilities for global force projection." Above all, Nye claimed, China suffers "geopolitical disadvantages in the internal Asian balance of power, compared to America." Or put it this way (and in this Nye is typical of a whole world of Washington thinking): with more allies, ships, fighters, missiles, money, patents, and blockbuster movies than any other power, Washington wins hands down. If Professor Nye paints power by the numbers, former Secretary of State Henry Kissinger's latest tome, modestly titled World Order and hailed in reviews as nothing less than a revelation, adopts a Nietzschean perspective. The ageless Kissinger portrays global politics as plastic and so highly susceptible to shaping by great leaders with a will to power. By this measure, in the tradition of master European diplomats Charles de Talleyrand and Prince Metternich, President Theodore Roosevelt was a bold visionary who launched "an American role in managing the Asia-Pacific equilibrium." On the other hand, Woodrow Wilson's idealistic dream of national self-determination rendered him geopolitically inept and Franklin Roosevelt was blind to Soviet dictator Joseph Stalin's steely "global strategy." Harry Truman, in contrast, overcame national ambivalence to commit "America to the shaping of a new international order," a policy wisely followed by the next 12 presidents. Among the most "courageous" of them, Kissinger insists, was that leader of "courage, dignity, and conviction," George W. Bush, whose resolute bid for the "transformation of Iraq from among the Middle East's most repressive states to a multiparty democracy" would have succeeded, had it not been for the "ruthless" subversion of his work by Syria and Iran. In such a view, geopolitics has no place; only the bold vision of "statesmen" and kings really matters. And perhaps that's a comforting perspective in Washington at a moment when America's hegemony is visibly crumbling amid a tectonic shift in global power. With Washington's anointed seers strikingly obtuse on the subject of geopolitical power, perhaps it's time to get back to basics. That means returning to the foundational text of modern geopolitics, which remains an indispensible guide even though it was published in an obscure British geography journal well over a century ago. On a cold London evening in January 1904, Sir Halford Mackinder, the director of the London School of Economics, "entranced" an audience at the Royal Geographical Society on Savile Row with a paper boldly titled "The Geographical Pivot of History." This presentation evinced, said the society's president, "a brilliancy of description... we have seldom had equaled in this room." Mackinder argued that the future of global power lay not, as most British then imagined, in controlling the global sea lanes, but in controlling a vast land mass he called "Euro-Asia." By turning the globe away from America to place central Asia at the planet's epicenter, and then tilting the Earth's axis northward just a bit beyond Mercator's equatorial projection, Mackinder redrew and thus reconceptualized the world map. His new map showed Africa, Asia, and Europe not as three separate continents, but as a unitary land mass, a veritable "world island." Its broad, deep "heartland" -- 4,000 miles from the Persian Gulf to the Siberian Sea -- was so enormous that it could only be controlled from its "rimlands" in Eastern Europe or what he called its maritime "marginal" in the surrounding seas. The "discovery of the Cape road to the Indies" in the sixteenth century, Mackinder wrote, "endowed Christendom with the widest possible mobility of power... wrapping her influence round the Euro-Asiatic land-power which had hitherto threatened her very existence." This greater mobility, he later explained, gave Europe's seamen "superiority for some four centuries over the landsmen of Africa and Asia." Yet the "heartland" of this vast landmass, a "pivot area" stretching from the Persian Gulf to China's Yangtze River, remained nothing less than the Archimedean fulcrum for future world power. "Who rules the Heartland commands the World-Island," went Mackinder's later summary of the situation. "Who rules the World-Island commands the world." Beyond the vast mass of that world island, which made up nearly 60% of the Earth's land area, lay a less consequential hemisphere covered with broad oceans and a few outlying "smaller islands." He meant, of course, Australia and the Americas. For an earlier generation, the opening of the Suez Canal and the advent of steam shipping had "increased the mobility of sea-power [relative] to land power." But future railways could "work the greater wonder in the steppe," Mackinder claimed, undercutting the cost of sea transport and shifting the locus of geopolitical power inland. In the fullness of time, the "pivot state" of Russia might, in alliance with another power like Germany, expand "over the marginal lands of Euro-Asia," allowing "the use of vast continental resources for fleet-building, and the empire of the world would be in sight." For the next two hours, as he read through a text thick with the convoluted syntax and classical references expected of a former Oxford don, his audience knew that they were privy to something extraordinary. Several stayed after to offer extended commentaries. For instance, the renowned military analyst Spenser Wilkinson, the first to hold a chair in military history at Oxford, pronounced himself unconvinced about "the modern expansion of Russia," insisting that British and Japanese naval power would continue the historic function of holding "the balance between the divided forces... on the continental area." Pressed by his learned listeners to consider other facts or factors, including "air as a means of locomotion," Mackinder responded: "My aim is not to predict a great future for this or that country, but to make a geographical formula into which you could fit any political balance." 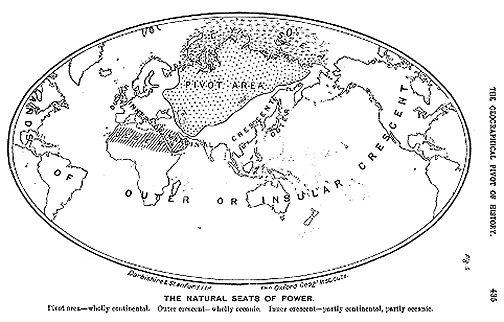 Instead of specific events, Mackinder was reaching for a general theory about the causal connection between geography and global power. "The future of the world," he insisted, "depends on the maintenance of [a] balance of power" between sea powers such as Britain or Japan operating from the maritime marginal and "the expansive internal forces" within the Euro-Asian heartland they were intent on containing. Not only did Mackinder give voice to a worldview that would influence Britain's foreign policy for several decades, but he had, in that moment, created the modern science of "geopolitics" -- the study of how geography can, under certain circumstances, shape the destiny of whole peoples, nations, and empires. That night in London was, of course, more than a long time ago. It was another age. England was still mourning the death of Queen Victoria. Teddy Roosevelt was president. Henry Ford had just opened a small auto plant in Detroit to make his Model-A, an automobile with a top speed of 28 miles per hour. Only a month earlier, the Wright brothers' "Flyer" had taken to the air for the first time -- 120 feet of air, to be exact. Yet, for the next 110 years, Sir Halford Mackinder's words would offer a prism of exceptional precision when it came to understanding the often obscure geopolitics driving the world's major conflicts -- two world wars, a Cold War, America's Asian wars (Korea and Vietnam), two Persian Gulf wars, and even the endless pacification of Afghanistan. The question today is: How can Sir Halford help us understand not only centuries past, but the half-century still to come? In the age of sea power that lasted just over 400 years -- from 1602 to the Washington Disarmament Conference of 1922 -- the great powers competed to control the Eurasian world island via the surrounding sea lanes that stretched for 15,000 miles from London to Tokyo. The instrument of power was, of course, the ship -- first men-o'-war, then battleships, submarines, and aircraft carriers. While land armies slogged through the mud of Manchuria or France in battles with mind-numbing casualties, imperial navies skimmed over the seas, maneuvering for the control of whole coasts and continents. At the peak of its imperial power circa 1900, Great Britain ruled the waves with a fleet of 300 capital ships and 30 naval bastions, bases that ringed the world island from the North Atlantic at Scapa Flow through the Mediterranean at Malta and Suez to Bombay, Singapore, and Hong Kong. Just as the Roman Empire enclosed the Mediterranean, making it Mare Nostrum ("Our Sea"), British power would make the Indian Ocean its own "closed sea," securing its flanks with army forces on India's Northwest Frontier and barring both Persians and Ottomans from building naval bases on the Persian Gulf. By that maneuver, Britain also secured control over Arabia and Mesopotamia, strategic terrain that Mackinder had termed "the passage-land from Europe to the Indies" and the gateway to the world island's "heartland." From this geopolitical perspective, the nineteenth century was, at heart, a strategic rivalry, often called "the Great Game," between Russia "in command of nearly the whole of the Heartland... knocking at the landward gates of the Indies," and Britain "advancing inland from the sea gates of India to meet the menace from the northwest." In other words, Mackinder concluded, "the final Geographical Realities" of the modern age were sea power versus land power or "the World-Island and the Heartland." Intense rivalries, first between England and France, then England and Germany, helped drive a relentless European naval arms race that raised the price of sea power to unsustainable levels. In 1805, Admiral Nelson's flagship, the HMS Victory, with its oaken hull weighing just 3,500 tons, sailed into the battle of Trafalgar against Napoleon's navy at nine knots, its 100 smooth-bore cannon firing 42-pound balls at a range of no more than 400 yards. In 1906, just a century later, Britain launched the world's first modern battleship, the HMS Dreadnought, its foot-thick steel hull weighing 20,000 tons, its steam turbines allowing speeds of 21 knots, and its mechanized 12-inch guns rapid-firing 850-pound shells up to 12 miles. The cost for this leviathan was £1.8 million, equivalent to nearly $300 million today. Within a decade, half-a-dozen powers had emptied their treasuries to build whole fleets of these lethal, lavishly expensive battleships. 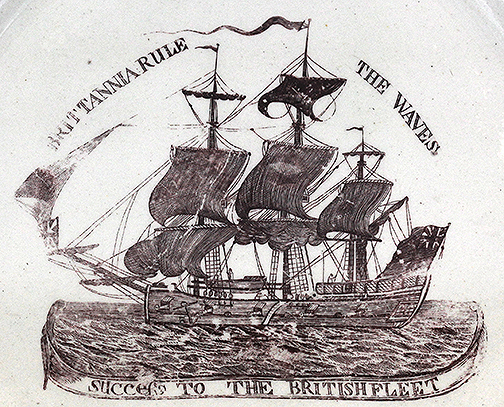 Thanks to a combination of technological superiority, global reach, and naval alliances with the U.S. and Japan, a Pax Britannica would last a full century, 1815 to 1914. In the end, however, this global system was marked by an accelerating naval arms race, volatile great-power diplomacy, and a bitter competition for overseas empire that imploded into the mindless slaughter of World War I, leaving 16 million dead by 1918. As the eminent imperial historian Paul Kennedy once observed, "the rest of the twentieth century bore witness to Mackinder's thesis," with two world wars fought over his "rimlands" running from Eastern Europe through the Middle East to East Asia. Indeed, World War I was, as Mackinder himself later observed, "a straight duel between land-power and sea-power." At war's end in 1918, the sea powers -- Britain, America, and Japan -- sent naval expeditions to Archangel, the Black Sea, and Siberia to contain Russia's revolution inside its "heartland." Reflecting Mackinder's influence on geopolitical thinking in Germany, Adolf Hitler would risk his Reich in a misbegotten effort to capture the Russian heartland as Lebensraum, or living space, for his "master race." Sir Halford's work helped shape the ideas of German geographer Karl Haushofer, founder of the journal Zeitschrift für Geopolitik, proponent of the concept of Lebensraum, and adviser to Adolf Hitler and his deputy führer, Rudolf Hess. In 1942, the Führer dispatched a million men, 10,000 artillery pieces, and 500 tanks to breach the Volga River at Stalingrad. 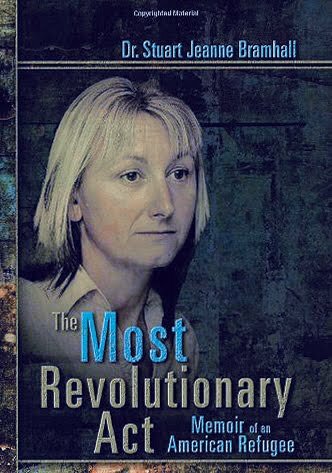 In the end, his forces suffered 850,000 wounded, killed, and captured in a vain attempt to break through the East European rimland into the world island's pivotal region. A century after Mackinder's seminal treatise, another British scholar, imperial historian John Darwin, argued in his magisterial survey After Tamerlane that the United States had achieved its "colossal Imperium... on an unprecedented scale" in the wake of World War II by becoming the first power in history to control the strategic axial points "at both ends of Eurasia" (his rendering of Mackinder's "Euro-Asia"). With fears of Chinese and Russian expansion serving as the "catalyst for collaboration," the U.S. won imperial bastions in both Western Europe and Japan. With these axial points as anchors, Washington then built an arc of military bases that followed Britain's maritime template and were visibly meant to encircle the world island. 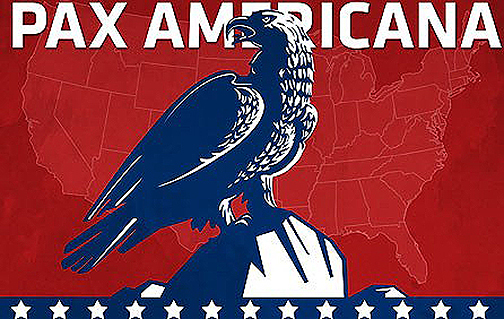 Having seized the axial ends of the world island from Nazi Germany and Imperial Japan in 1945, for the next 70 years the United States relied on ever-thickening layers of military power to contain China and Russia inside that Eurasian heartland. 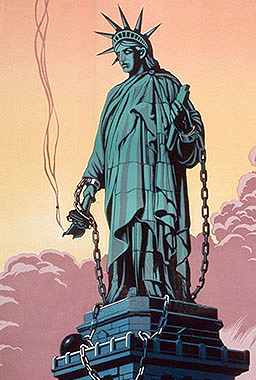 Stripped of its ideological foliage, Washington's grand strategy of Cold War-era anticommunist "containment" was little more than a process of imperial succession. A hollowed-out Britain was replaced astride the maritime "marginal," but the strategic realities remained essentially the same. 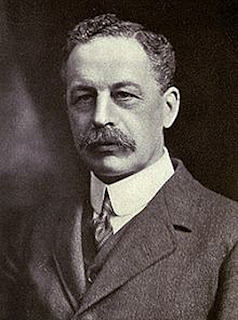 Indeed, in 1943, two years before World War II ended, an aging Mackinder published his last article, "The Round World and the Winning of the Peace," in the influential U.S. journal Foreign Affairs. In it, he reminded Americans aspiring to a "grand strategy" for an unprecedented version of planetary hegemony that even their "dream of a global air power" would not change geopolitical basics. "If the Soviet Union emerges from this war as conqueror of Germany," he warned, "she must rank as the greatest land power on the globe," controlling the "greatest natural fortress on earth." When it came to the establishment of a new post-war Pax Americana, first and foundational for the containment of Soviet land power would be the U.S. Navy. Its fleets would come to surround the Eurasian continent, supplementing and then supplanting the British navy: the Sixth Fleet was based at Naples in 1946 for control of the Atlantic Ocean and the Mediterranean Sea; the Seventh Fleet at Subic Bay, Philippines, in 1947, for the Western Pacific; and the Fifth Fleet at Bahrain in the Persian Gulf since 1995. Next, American diplomats added layers of encircling military alliances -- the North Atlantic Treaty Organization (1949), the Middle East Treaty Organization (1955), the Southeast Asia Treaty Organization (1954), and the U.S.-Japan Security Treaty (1951). By 1955, the U.S. also had a global network of 450 military bases in 36 countries aimed, in large part, at containing the Sino-Soviet bloc behind an Iron Curtain that coincided to a surprising degree with Mackinder's "rimlands" around the Eurasian landmass. By the Cold War's end in 1990, the encirclement of communist China and Russia required 700 overseas bases, an air force of 1,763 jet fighters, a vast nuclear arsenal, more than 1,000 ballistic missiles, and a navy of 600 ships, including 15 nuclear carrier battle groups -- all linked by the world's only global system of communications satellites. As the fulcrum for Washington's strategic perimeter around the world island, the Persian Gulf region has for nearly 40 years been the site of constant American intervention, overt and covert. The 1979 revolution in Iran meant the loss of a keystone country in the arch of U.S. power around the Gulf and left Washington struggling to rebuild its presence in the region. To that end, it would simultaneously back Saddam Hussein's Iraq in its war against revolutionary Iran and arm the most extreme of the Afghan mujahedeen against the Soviet occupation of Afghanistan. It was in this context that Zbigniew Brzezinski, national security adviser to President Jimmy Carter, unleashed his strategy for the defeat of the Soviet Union with a sheer geopolitical agility still little understood even today. In 1979, Brzezinski, a déclassé Polish aristocrat uniquely attuned to his native continent's geopolitical realities, persuaded Carter to launch Operation Cyclone with massive funding that reached $500 million annually by the late 1980s. Its goal: to mobilize Muslim militants to attack the Soviet Union's soft Central Asian underbelly and drive a wedge of radical Islam deep into the Soviet heartland. It was to simultaneously inflict a demoralizing defeat on the Red Army in Afghanistan and cut Eastern Europe's "rimland" free from Moscow's orbit. 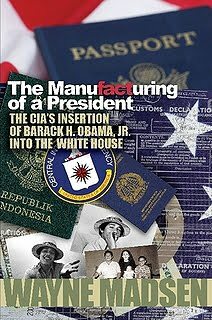 "We didn't push the Russians to intervene [in Afghanistan]," Brzezinski said in 1998, explaining his geopolitical masterstroke in this Cold War edition of the Great Game, "but we knowingly increased the probability that they would... That secret operation was an excellent idea. Its effect was to draw the Russians into the Afghan trap." Asked about this operation's legacy when it came to creating a militant Islam hostile to the U.S., Brzezinski, who studied and frequently cited Mackinder, was coolly unapologetic. "What is most important to the history of the world?" he asked. 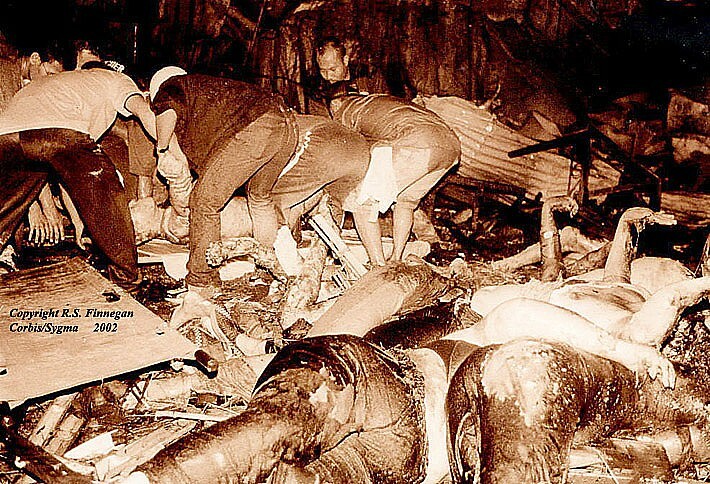 "The Taliban or the collapse of the Soviet empire? 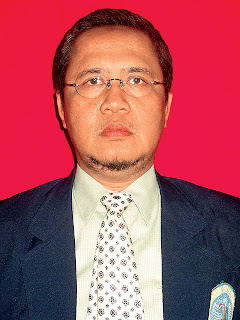 Some stirred-up Moslems or the liberation of Central Europe and the end of the Cold War?" Yet even America's stunning victory in the Cold War with the implosion of the Soviet Union would not transform the geopolitical fundamentals of the world island. As a result, after the fall of the Berlin Wall in 1989, Washington's first foreign foray in the new era would involve an attempt to reestablish its dominant position in the Persian Gulf, using Saddam Hussein's occupation of Kuwait as a pretext. In 2003, when the U.S. invaded Iraq, imperial historian Paul Kennedy returned to Mackinder's century-old treatise to explain this seemingly inexplicable misadventure. "Right now, with hundreds of thousands of U.S. troops in the Eurasian rimlands," Kennedy wrote in the Guardian, "it looks as if Washington is taking seriously Mackinder's injunction to ensure control of ‘the geographical pivot of history.'" If we interpret these remarks expansively, the sudden proliferation of U.S. bases across Afghanistan and Iraq should be seen as yet another imperial bid for a pivotal position at the edge of the Eurasian heartland, akin to those old British colonial forts along India's Northwest Frontier. In the ensuing years, Washington attempted to replace some of its ineffective boots on the ground with drones in the air. By 2011, the Air Force and the CIA had ringed the Eurasian landmass with 60 bases for its armada of drones. By then, its workhorse Reaper, armed with Hellfire missiles and GBU-30 bombs, had a range of 1,150 miles, which meant that from those bases it could strike targets almost anywhere in Africa and Asia. Significantly, drone bases now dot the maritime margins around the world island -- from Sigonella, Sicily, to Icerlik, Turkey; Djibouti on the Red Sea; Qatar and Abu Dhabi on the Persian Gulf; the Seychelles Islands in the Indian Ocean; Jalalabad, Khost, Kandahar, and Shindand in Afghanistan; and in the Pacific, Zamboanga in the Philippines and Andersen Air Base on the island of Guam, among other places. To patrol this sweeping periphery, the Pentagon is spending $10 billion to build an armada of 99 Global Hawk drones equipped with high-resolution cameras capable of surveilling all terrain within a hundred-mile radius, electronic sensors that can sweep up communications, and efficient engines capable of 35 hours of continuous flight and a range of 8,700 miles. Washington's moves, in other words, represent something old, even if on a previously unimaginable scale. But the rise of China as the world's largest economy, inconceivable a century ago, represents something new and so threatens to overturn the maritime geopolitics that have shaped world power for the past 400 years. Instead of focusing purely on building a blue-water navy like the British or a global aerospace armada akin to America's, China is reaching deep within the world island in an attempt to thoroughly reshape the geopolitical fundamentals of global power. It is using a subtle strategy that has so far eluded Washington's power elites. After decades of quiet preparation, Beijing has recently begun revealing its grand strategy for global power, move by careful move. Its two-step plan is designed to build a transcontinental infrastructure for the economic integration of the world island from within, while mobilizing military forces to surgically slice through Washington's encircling containment. The initial step has involved a breathtaking project to put in place an infrastructure for the continent's economic integration. By laying down an elaborate and enormously expensive network of high-speed, high-volume railroads as well as oil and natural gas pipelines across the vast breadth of Eurasia, China may realize Mackinder's vision in a new way. For the first time in history, the rapid transcontinental movement of critical cargo -- oil, minerals, and manufactured goods -- will be possible on a massive scale, thereby potentially unifying that vast landmass into a single economic zone stretching 6,500 miles from Shanghai to Madrid. In this way, the leadership in Beijing hopes to shift the locus of geopolitical power away from the maritime periphery and deep into the continent's heartland. "Trans-continental railways are now transmuting the conditions of land power," wrote Mackinder back in 1904 as the "precarious" single track of the Trans-Siberian Railway, the world's longest, reached across the continent for 5,700 miles from Moscow toward Vladivostok. "But the century will not be old before all Asia is covered with railways," he added. "The spaces within the Russian Empire and Mongolia are so vast, and their potentialities in... fuel and metals so incalculably great that a vast economic world, more or less apart, will there develop inaccessible to oceanic commerce." Mackinder was a bit premature in his prediction. The Russian revolution of 1917, the Chinese revolution of 1949, and the subsequent 40 years of the Cold War slowed any real development for decades. In this way, the Euro-Asian "heartland" was denied economic growth and integration, thanks in part to artificial ideological barriers -- the Iron Curtain and then the Sino-Soviet split -- that stalled any infrastructure construction across the vast Eurasian land mass. No longer. 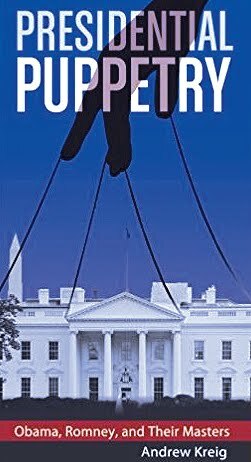 Only a few years after the Cold War ended, former National Security Adviser Brzezinski, by then a contrarian sharply critical of the global views of both Republican and Democratic policy elites, began raising warning flags about Washington's inept style of geopolitics. 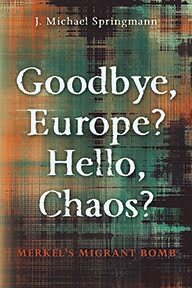 "Ever since the continents started interacting politically, some five hundred years ago," he wrote in 1998, essentially paraphrasing Mackinder, "Eurasia has been the center of world power. A power that dominates ‘Eurasia' would control two of the world's three most advanced and economically productive regions... rendering the Western Hemisphere and Oceania geopolitically peripheral to the world's central continent." While such a geopolitical logic has eluded Washington, it's been well understood in Beijing. Indeed, in the last decade China has launched the world's largest burst of infrastructure investment, already a trillion dollars and counting, since Washington started the U.S. Interstate Highway System back in the 1950s. The numbers for the rails and pipelines it's been building are mind numbing. Between 2007 and 2014, China criss-crossed its countryside with 9,000 miles of new high-speed rail, more than the rest of the world combined. The system now carries 2.5 million passengers daily at top speeds of 240 miles per hour. By the time the system is complete in 2030, it will have added up to 16,000 miles of high-speed track at a cost of $300 billion, linking all of China's major cities. Simultaneously, China's leadership began collaborating with surrounding states on a massive project to integrate the country's national rail network into a transcontinental grid. Starting in 2008, the Germans and Russians joined with the Chinese in launching the "Eurasian Land Bridge." Two east-west routes, the old Trans-Siberian in the north and a new southern route along the ancient Silk Road through Kazakhstan are meant to bind all of Eurasia together. On the quicker southern route, containers of high-value manufactured goods, computers, and auto parts started travelling 6,700 miles from Leipzig, Germany, to Chongqing, China, in just 20 days, about half the 35 days such goods now take via ship. In 2013, Deutsche Bahn AG (German Rail) began preparing a third route between Hamburg and Zhengzhou that has now cut travel time to just 15 days, while Kazakh Rail opened a Chongqing-Duisburg link with similar times. In October 2014, China announced plans for the construction of the world's longest high-speed rail line at a cost of $230 billion. According to plans, trains will traverse the 4,300 miles between Beijing and Moscow in just two days. In addition, China is building two spur lines running southwest and due south toward the world island's maritime "marginal." In April, President Xi Jinping signed an agreement with Pakistan to spend $46 billion on a China-Pakistan Economic Corridor. Highway, rail links, and pipelines will stretch nearly 2,000 miles from Kashgar in Xinjiang, China's westernmost province, to a joint port facility at Gwadar, Pakistan, opened back in 2007. China has invested more than $200 billion in the building of this strategic port at Gwadar on the Arabian Sea, just 370 miles from the Persian Gulf. Starting in 2011, China also began extending its rail lines through Laos into Southeast Asia at an initial cost of $6.2 billion. In the end, a high-speed line is expected to take passengers and goods on a trip of just 10 hours from Kunming to Singapore. 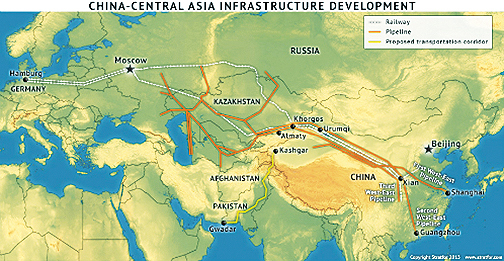 In this same dynamic decade, China has constructed a comprehensive network of trans-continental gas and oil pipelines to import fuels from the whole of Eurasia for its population centers -- in the north, center, and southeast. In 2009, after a decade of construction, the state-owned China National Petroleum Corporation (CNPC) opened the final stage of the Kazakhstan-China Oil Pipeline. It stretches 1,400 miles from the Caspian Sea to Xinjiang. Simultaneously, CNPC collaborated with Turkmenistan to inaugurate the Central Asia-China gas pipeline. Running for 1,200 miles largely parallel to the Kazakhstan-China Oil Pipeline, it is the first to bring the region's natural gas to China. 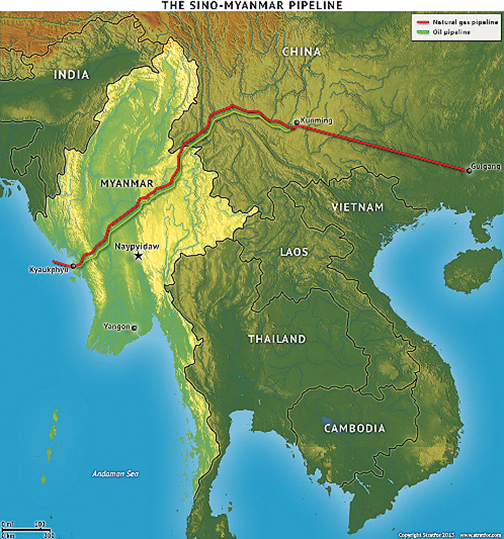 To bypass the Straits of Malacca controlled by the U.S Navy, CNPC opened a Sino-Myanmar pipeline in 2013 to carry both Middle Eastern oil and Burmese natural gas 1,500 miles from the Bay of Bengal to China's remote southwestern region. In May 2014, the company signed a $400 billion, 30-year deal with the privatized Russian energy giant Gazprom to deliver 38 billion cubic meters of natural gas annually by 2018 via a still-to-be-completed northern network of pipelines across Siberia and into Manchuria. Though massive, these projects are just part of an ongoing construction boom that, over the past five years, has woven a cat's cradle of oil and gas lines across Central Asia and south into Iran and Pakistan. The result will soon be an integrated inland energy infrastructure, including Russia's own vast network of pipelines, extending across the whole of Eurasia, from the Atlantic to the South China Sea. To capitalize such staggering regional growth plans, in October 2014 Beijing announced the establishment of the Asian Infrastructure Investment Bank. China's leadership sees this institution as a future regional and, in the end, Eurasian alternative to the U.S.-dominated World Bank. So far, despite pressure from Washington not to join, 14 key countries, including close U.S. allies like Germany, Great Britain, Australia, and South Korea, have signed on. Simultaneously, China has begun building long-term trade relations with resource-rich areas of Africa, as well as with Australia and Southeast Asia, as part of its plan to economically integrate the world island. Finally, Beijing has only recently revealed a deftly designed strategy for neutralizing the military forces Washington has arrayed around the continent's perimeter. In April, President Xi Jinping announced construction of that massive road-rail-pipeline corridor direct from western China to its new port at Gwadar, Pakistan, creating the logistics for future naval deployments in the energy-rich Arabian Sea. In May, Beijing escalated its claim to exclusive control over the South China Sea, expanding Longpo Naval Base on Hainan Island for the region's first nuclear submarine facility, accelerating its dredging to create three new atolls that could become military airfields in the disputed Spratley Islands, and formally warning off U.S. Navy overflights. By building the infrastructure for military bases in the South China and Arabian seas, Beijing is forging the future capacity to surgically and strategically impair U.S. military containment. At the same time, Beijing is developing plans to challenge Washington's dominion over space and cyberspace. It expects, for instance, to complete its own global satellite system by 2020, offering the first challenge to Washington's dominion over space since the U.S. launched its system of 26 defense communication satellites back in 1967. Simultaneously, Beijing is building a formidable capacity for cyber warfare. In a decade or two, should the need arise, China will be ready to surgically slice through Washington's continental encirclement at a few strategic points without having to confront the full global might of the U.S. military, potentially rendering the vast American armada of carriers, cruisers, drones, fighters, and submarines redundant. Lacking the geopolitical vision of Mackinder and his generation of British imperialists, America's current leadership has failed to grasp the significance of a radical global change underway inside the Eurasian land mass. If China succeeds in linking its rising industries to the vast natural resources of the Eurasian heartland, then quite possibly, as Sir Halford Mackinder predicted on that cold London night in 1904, "the empire of the world would be in sight."